Hi Bruno! Welcome back! Nice site & kitchen reno’s look great! Heather – Thanks for visiting the new blog… it’s nice to have a voice again!! The pizza sounds great (you cannot do better than homemade) but I am hooked with the Gelato – I bet it was wonderful! Freya – Thank you! I highly recommend you try this gelato recipe. The Sweet Potato Gelato sounds heavenly! Why didn’t Freya show me this pizza when she saw it? It really looks great! Oh, how I love pizza. Welcome back Bruno. I’ll add you to my list as soon as I update. Dianne – Thanks! I agree, sweet potato gelato is food from heaven! Barbara – Thanks for visiting the new blog and linking me up!! Bruno – What a lovely new kitchen you have. It looks quite spacious. What a treat to have an island like that – a great way to keep cookery books handy in the kitchen without being exposed to too much mess. 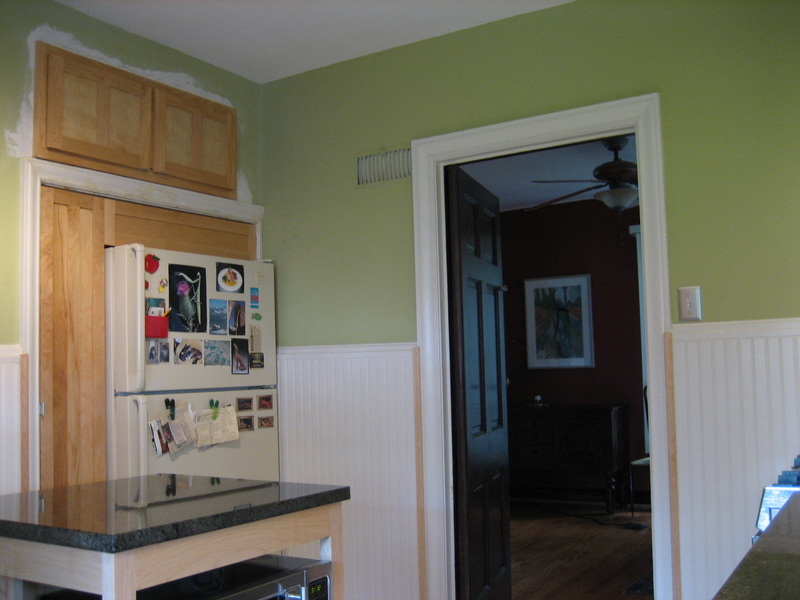 I look forward to the time (soon – next year, even) Eric and I will have our own kitchen again. Happy belated birthday! Thanks for the belated birthday wishes Shaun! I love my new kitchen… the island w/ the cookbook shelf is a great feature the designer suggested. It really makes the room more functional. Good luck to you and Eric on your future kitchen! I’m lactose-intolerant, and I can’t find lactose-free half-and-half. Do you think the gelato recipe would work if I used lactose-free whole milk? I’m pretty sure soy-based half-and-half is available, but I don’t know how that would affect the freezing process. I’m not sure how soy half & half will effect the taste and freezing process, but I think it’s worth a try!